Is there a mom out there who doesn’t throw her hands up on Purim, acquiescing to a dozen too many requests for junk–per hour? Because if there is, I’d like to meet her. 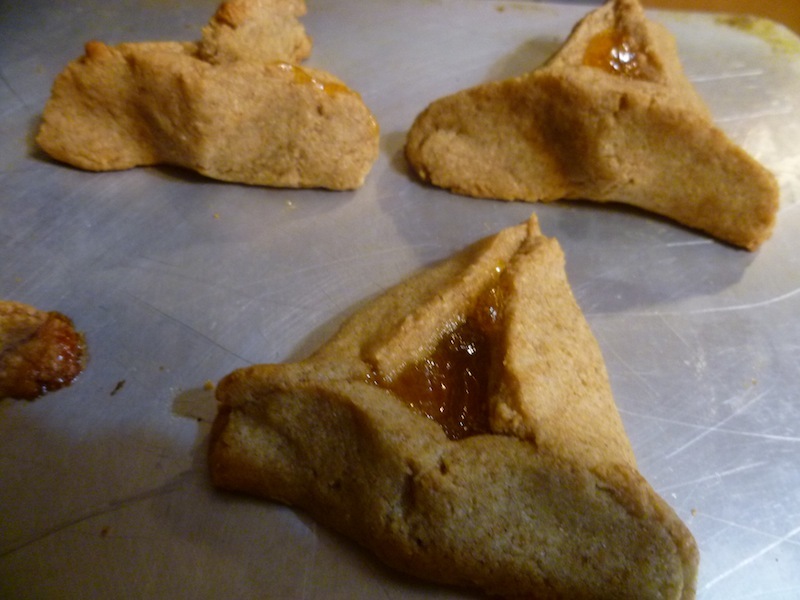 Purim’s a blast–my favorite day of the year, in fact–but the nosh really does take a toll. 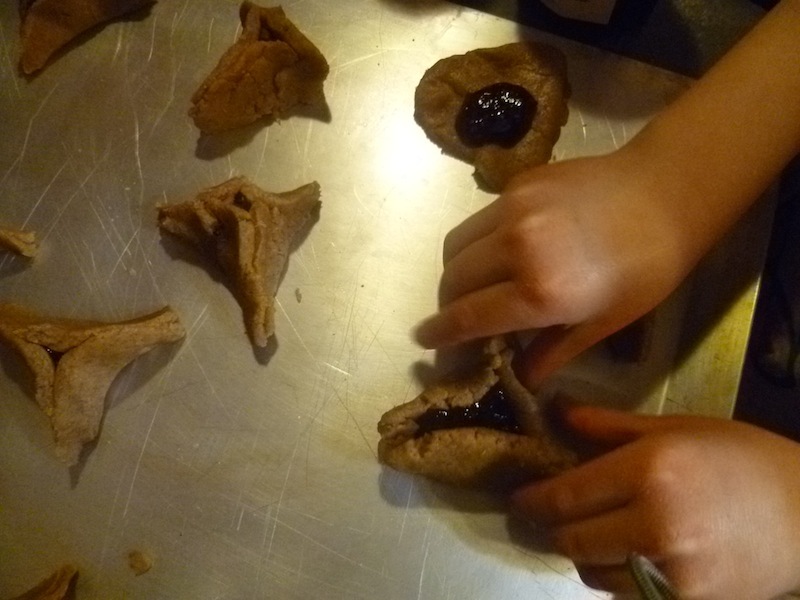 That’s why I tried to come up with a “healthy” hamentaschen recipe. “Healthy” because a cookie is, well, a cookie, and the only thing healthy about a sweetened, doughy, yummy treat, no matter how you tweak it, is that eating a treat on Yom Tov is the healthy, normal thing to do! Chag Purim Sameach! Thin out peanut butter with “milk” and stir in chocolate chips. Beat the butter, sugar, honey and salt and then add the orange juice, vanilla, flour and baking powder. Divide the dough in two, wrap each piece in plastic wrap and refrigerate for at least 30 minutes. Flatten each section between two pieces of plastic wrap and roll it out. Use the top of a cup to cut out circles. Add desired filling to the middle (the key is not to add too much) and fold up the sides, pinching three corners (pinch them tight with only a small opening–they’ll open more in the oven) and bake at 350 for 14 minutes. Hi a really big for this Great information.I decided I will be bookmarking this website for future updates.Keep up the interesting work.